Edith Cameron Bjornson is very proud of acquiring jobs at ABC News and Omnibus, the latter being the premiere cultural and public affairs program on television at the time she was employed. 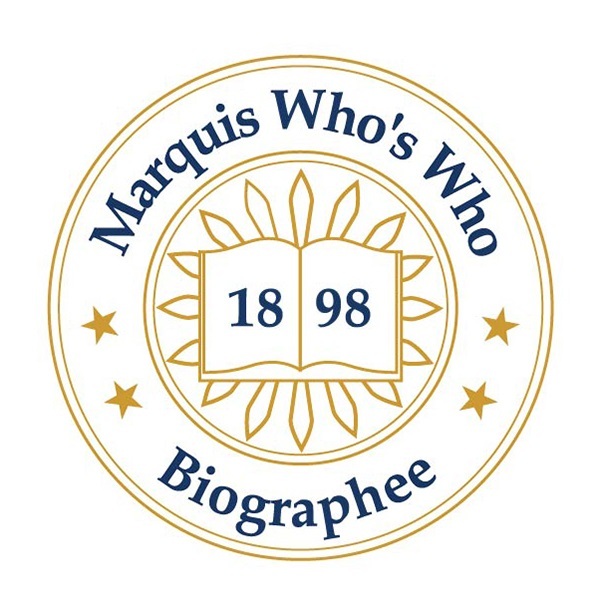 GREENWICH, CT, September 20, 2018 — Marquis Who's Who, the world's premier publisher of biographical profiles, is proud to present Edith Cameron Bjornson with the Albert Nelson Marquis Lifetime Achievement Award. An accomplished listee, Ms. Bjornson celebrates many years' experience in her professional network, and has been noted for achievements, leadership qualities, and the credentials and successes she has accrued in her field. As in all Marquis Who's Who biographical volumes, individuals profiled are selected on the basis of current reference value. Factors such as position, noteworthy accomplishments, visibility, and prominence in a field are all taken into account during the selection process. Ms. Bjornson worked as an independent consultant in new media for Reinventing America, SimHealth, Voyager Company, Public Agenda Foundation, Columbia Teacher's College, and Station WNYC from 2000 until her retirement in 2010. She began her professional career as a copywriter at Station WGGG in Gainesville, FL, from 1953 to 1954, and two years later, became the executive assistant for Lee Strasberg at The Actors Studio in New York from 1956 to 1958. Following this, she was a production assistant at Omnibus in New York for one year before becoming an associate producer with Robert Saudek Associates from 1958 to 1960, and for Adlai Stevenson Reports for ABC News in1960. She then worked as the assistant general manager at Station WNDT-TV in New York from 1960 to 1963, and then as a co-producer at The Open Mind from 1963 to 1969. Years later, she was the director of local programming for Teleprompter, Inc., for one year before serving as corporate vice president of programming at Westinghouse Broadcasting and Cable from 1980 to 1983. Finally, she became the vice president and senior program officer with the Markle Foundation from 1986 to 1998. Ms. Bjornson earned a Bachelor of Arts in theater from the University of Florida in Gainesville in 1953, where she later earned a Master of Arts in 1956. Many years later, she obtained a Professional Certificate from École de Cuisine La Varenne in Paris, France, in 1983. Since graduating, she has served in countless advisory roles at a wide variety of companies and institutions across the United States. She has also donated her time to civic causes such as the HealthCare Chaplaincy, Pro-Natura USA, Macaulay Honors College, and the Education Committee of the Board of Channel Thirteen, PBS New York. Ms. Bjornson is Emeritus on the Board of Connecticut Public Television. Ms. Bjornson is very proud of acquiring jobs at ABC News and Omnibus, the latter being the premiere cultural and public affairs program on television at the time she was employed; it was the winner of an Emmy Award from the Academy of Television Arts and Sciences in 1960. She was hired when educational television, now called public broadcasting, was at its beginning stages, which was a huge accomplishment. In just a few short years after starting her career, she became the corporate vice president of a Fortune 500 Company. She is listed in several editions of Who's Who in Finance and Business, Who's Who in America, Who's Who in the East, Who's Who in the World and Who's Who of American Women. In recognition of outstanding contributions to her profession and the Marquis Who's Who community, Edith Cameron Bjornson has been featured on the Albert Nelson Marquis Lifetime Achievement website. Please visit www.ltachievers.com for more information about this honor.